The AI issues you mention sounds like a problem I've encountered in many B level racing titles, they don't seem to bother programing real driving AI, very frustrating. This is no small omission on the developers side. 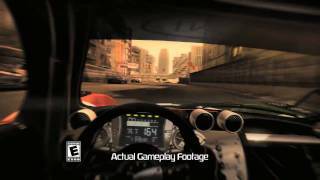 I played the demo and the sound was the most notable let down it was so 2 dimensional (listen to the tire sounds at different speeds, they are the same). I couldn't get past the audio, it has to have some glaringly weak audio for it to bother me that much but i don't think i could own this title with audio in that state. I really hope the resolve this issue in the inevitable sequel.